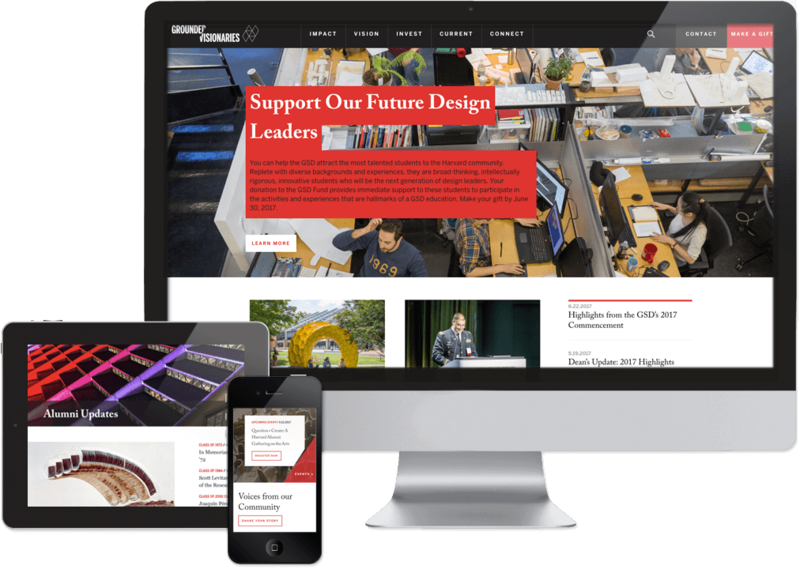 Harvard Graduate School of Design is a global leader in the field of Architecture. Keeping in touch with their very active alumni is of the utmost importance. Grounded Visionaries is a Wordpress site designed by Blue Cadet and developed by INCLINED. Utilizing the latest Wordpress build, we created a new theme from the ground up, customizing everything to taste and for ease of use. We are proud to have delivered a highly customized and very easy to update Wordpress site.